Applications that depend on Wi-Fi connection are a major cause of battery drain for mobile devices. Turning off Wi-Fi is often users’ first solution when faced with smartphones running out of power. While scanning for an available wireless network does consume battery power, the wireless radio signals themselves can actually be a source of power. According to a recent report from the technology magazine Wired, a research team at the University of Washington in Seattle has found a promising solution that allows smartphone users to charge their devices and browse the Internet simultaneously with the help of Wi-Fi. A team of engineers researching at the university’s Electrical Engineering Department have achieved recharging batteries of various electronic gadgets through air using just a router and a sensor. This solution, known as “power over Wi-Fi” (or PoWi-Fi for short), is able to deliver power to a device within a distance of 28 feet or around 8.5 meters. Vamsi Talla, a member of the research team, told Wired that they modified the wireless router so that it can transmit both intelligible Wi-Fi signals and signals that can become usable electricity. The sensor is for receiving radio waves and converting them into DC power. The concept of wireless charging using Wi-Fi has been around for some time, but the PoWi-Fi have two significant improvements over the earlier solutions. Firstly, this system is based on existing technologies. According to the research team, theoretically it would take just a firmware upgrade to the current routers for it to work. 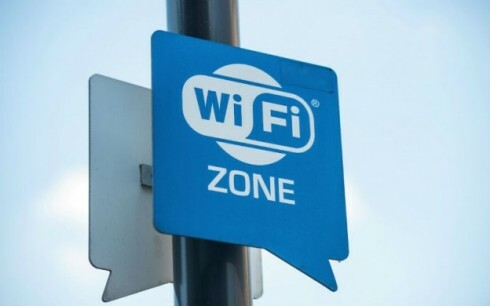 Secondly, the charging process will not interfere with the Wi-Fi signals intended as data for applications, so a device user can recharge without losing connectivity. Solar energy is unquestionably something that lots of people wish to put in their homes. Although you may currently have a concept on the benefits and drawbacks of getting a solar energy, here we’ll try to discuss further to enable you to make the best decision. i. Solar Energy is clean, renewable (unlike gas, oil and coal) and ecofriendly, helping to protect the environment. It actually contributes to the decrease in destructive greenhouse gas emissions. ii. The maintenance of a solar system is going to be easy and cheap. As soon as the initial investment in setting up the solar system, the probability of spending money on it will be quite reduced. When you wish more solar panels, they could be added in the future based on your needs. iii. In the event your system produces more energy than you will need, you could sell it to energy companies because they’re willing to purchase any excess power you’ve got. You cannot only lower your expenses, but in addition make money with help from your solar panels. iv. Lowered electric costs. As soon as put in, the solar energy system gives you “free electricity” for an additional 20-25 years. i. Zoning restrictions. A number of areas have no limitations, yet other places can have fairly stiff regulations. ii. The initial cost is the primary disadvantage of setting up a solar energy system, largely because of the cost of the semi-conducting materials used in creating one. iii. Solar energy may be problematic in some locations where huge amounts of sunlight aren’t available. When the climate is generally cloudy it could be more difficult to grab systematically the solar energy you’ll want to power your electric system. Understanding the advantages and disadvantages will surely provide you with an idea on your final decision. If you believe it is more of an obstacle than advantage due to initial investment, then you need to check out of the ways to reduce costs. Lessen your current energy consumption. Find ways in which will reduce in a way or another. The next thing to do is to learn about the incentives available in your state, and the costs of setting up solar panel systems will significantly reduce. Ultimately, consider building your own solar panels. Latest technological advances have lowered the expense of the solar cells that comprise the solar panels. Panels are the most expensive part of a solar generation system. Constructing your own solar panels could help you save $5000-10,000 versus getting the panels. You may either learn to build solar panels by on your own, or simply figure out how to install the solar panel. The installation of the system is possible at your own pace. If you’re unable to acquire all the solar panels at once, you could start with small investments, and once you have the money, you may set up more panels. However, create a plan that is certainly thorough and recommended by people who are experts in such field as you wouldn’t like to waste your hard earned money on a disaster. Everybody displays a special sense of style. Although that is shown in our clothing fashion also, it is conveyed in our homes which reach to our gardens. Lots of individuals devote considerable time considering the design of each of the rooms in their homes and in most cases the garden comes last. I believe this should be carried out first, particularly if it is your front yard. This is exactly what these potential customers will notice first if they go to visit you. Hence maybe now is the suitable time to start arranging the garden. To assist you along we have a couple of garden design themes. This garden is reminiscent of the Eastern look where you have trees which are shaped like bonsai trees, soft pale pink flowers and deep green plants. This type of garden also offers tactically placed oriental styled arches and the walkways contain stone white cobbles. In addition, it has an area allotted for a Zen garden which consists of soft flowing sand and smooth rocks. Dependent upon your feelings, you can rake certain patterns in the sand to produce a flow of tranquil emotions. This might appear a bit vague however this style of garden consists of decorative outdoor art like outdoor rock paintings and sleek white stone statues. This garden is designed with neat lines not really a particular rock look. Basically, the pathways are made with sleek cobbles and there are deliberately placed flowers and trees. There’s a certain shape to the layout of the flowers and the trimmed grass. The pool area is minimalistic and has a clear blue water appearance with neat white cobble tiles to complete off the look. You can also put a pond in the middle of the garden as a centerpiece that can be tiled with modern copings. This garden takes significantly less work to sustain. You need to pick plants which are native to your area and that flourish in the outdoors and with minimal waters. Generally you depend on the rain to water your plants. This is actually the perfect theme in case you have busy lives and don’t have a lot of time to take care of their garden. The paths have a natural weathered look which you can create with simulated stone tiles in a grey color. There are several more garden themes that you could apply to your house and the perfect decision can assist you accomplish this. It is actually up to your imagination. A quality home audio system has become a standard fixture in many homes. Purchasing a new home audio system can be a daunting experience due to the range of options and technical jargon to decipher. It is important to be educated on the options and capabilities of various audio systems and components. This guide will provide anyone with the tools to understand various technologies and available products. Once consumers gain a solid understanding of product range, components, and how to determine personal needs, the selection and buying process becomes quick and efficient. The term “home audio system” refers to a wide array of products and components that produce or reproduce sounds of any medium in the home. This includes iPod speakers,, stereos, surround sound systems or components like high-end receivers.. Many home audio kits include everything needed for a home theater with the exception of a TV. This distinction is important to understand. All home theater systems have components of home audio systems, but not all home audio systems contain components needed for home theaters. Home audio systems can be as simple or extensive as desired. Speakers and sound reproduction have come a long way since the phonograph. Many homes have audio systems and home theaters with audio quality that surpasses what was used in movie theaters and concert venues twenty years ago. In the late 1980s, home theater systems first emerged. With high-functioning multichannel speakers and the explosion of VHS, consumers were able to replicate the quality and experience of a movie theater in the comfort of their own homes. Advanced audio capabilities coincided with the boom of big screen TVs, giving consumers high-resolution displays at affordable prices. The introduction of 5.1 surround sound changed the dynamics of home theaters and entertainment. DVDs were released standard with Dolby Digital surround sound, which gave consumers the ability to have a 360-degree audio experience in their homes. Today, there are virtually limitless options to choose from. You may want the simplicity of an iPod dock for easy listening or you may want to watch Blu-ray DVDs with surround sound and a subwoofer that will shake your house. The ultimate goal of any audio system is to produce the most realistic sound reproduction possible. When watching a movie, viewers want to feel as though they are immersed in the location, dialogue and music of the film. If you are watching an action movie, you want to feel the explosions and hear the car pulling up from behind. When listening to music, the sound should seem as natural as possible, as if your favorite band or musician was playing in the living room. There are multiple formats of sound reproduction. As technology advances and sound reproduction improves, there are an increasing number of formats and options to choose from. When selecting a format such as Dolby Digital Plus, make sure to understand what media are compatible with each format, and what accessories are needed to utilize each component to its full capability. A thorough understanding of audio formats will help make the selection process easier. With monophonic sound, all elements of sound are sent through a single channel, most often using one speaker and amplifier. AM radio is still produced with monophonic sound. This type of technology is outdated and largely off the market because of the availability and better quality offered by formats such as stereo and multichannel sound. Becoming popular in the 1950s, stereophonic (stereo) sound production sends sound through two channels. This has the benefit of an improved listening experience because the sound is filtered through a left and right channel, which allows the listener to experience sound from speakers in a more natural manner. When listening to a track from your favorite band, for example, the bass and keyboard may be sent to the right channel while the guitar and drums to the left, and the vocals may be sent to both channels for a centralized effect. If you are tired of the way the house looks like, if it doesn’t have distinct style and looks out of date, it’s time to give your interiors a fresh modern look. Improving your home with some modern home decor might sound to be a tough work for you, however endeavors are going to be totally worthwhile. Here is a guideline to assist you in creating a flourishing modern home. All you need to possess are the basic components of modern design. Relating to modern home, you don’t need to exaggerate when integrating decors. Keep the walls a dark color or white and avoid colorful painted walls. Avoid excess clutter on the walls, for instance lots of picture frames or art. The objective is to keep away from clutter and to put less furniture attempting to keep everything as simple yet classy. The vital thing you need to bear in mind is that modern home preference in simplicity. Designing a modern and contemporary home design, easy cleaning, stylish and minimalist are those basic you’ll need while arranging modern style. You will find it so refreshing seeing minimal furniture and decors in every corner. A single thing that many people neglect to get right is the lighting. It’s important to make certain you utilize efficient lighting- Ensure that your rooms have enough lighting to prevent eyestrain. The lights that you choose for your residence are not just a matter of seeing when the night falls; it’s a matter of design and visual aesthetics. Be sure that you absorb the fixtures and the numerous elements that make the lighting work for your home. Should you neglect this then you will over saturate certain areas that require a bit of dim lighting to stand out as far as décor is concerned. Don’t allow others decide for you. Even though asking friends and professionals may help you acquire a fresh view, never compromise your own comfort and requirements for the sake of anyone else. After all, your home is your sanctuary. A plumbing inspection implemented in your house helps detect whether there are problems that ought to be fixed instantly. Whenever left unnoticed, things such as leakages and obstructions in water flow may proceed to serious problems that call for replacement of equipment, and consequently money exhausted from your bank account. Spending some time to have a professional plumbing mechanic examine your pipes and fixtures is a great way to see how your home works and to be well prepared in case of emergency. Having said that, listed here is a quick checklist to get handy when you schedule your home plumbing inspection. Know what to anticipate and the way to solve problems as they develop. Toilets – You should check out every commode in your house to determine if they are in excellent working order. You can look at the supply line and turn off valve, the flapper and flush valve, and the ballcock. A flush test will determine if there are leaking and if whatever in the tank has to be fixed or replaced. Water Heater – This is perhaps one of the most important inspections to do, as the power of your water heater could determine the expense of your utility bills. Shut down and pressure relief valves are checked, as are the electrical and/or gas valve connections. The heater can also be inspected for rust and temperature, tank capability and the power of the flue pipe and burner. Sinks – Considering that one can find many sinks in the home, you have to check its lines and valves. Sediment accumulation in a fixture (or at times more than one fixture) might cause low water pressure, but so can an issue with the main water supply line. Remove all shower heads and faucet screens. You’re looking for deposit which could have built up inside of the fixtures. Washer and dryer – Last but not least, in case you have a dryer and washer set up, you can check those hookups. If you have a water and sump pump, be sure those go through the inspection, as well as other outdoor water connections you have – faucets and sprinkler systems. Showers and Tubs – Look at shower stalls, tub surrounds, and other areas around fixtures for loose or cracked tiles. A damaged tile may be a sign that there’s, or was, a leak. There can be rotting behind or underneath the tile as a result. The objective of the plumbing inspection will be to give you relief that your water supply and water heating functionality just isn’t affected. An intensive checkup one or more times a year can see your home’s integrity. Energy substitutes just like geothermal energy are definitely the necessity of this moment. Geo-thermal cooling is one of the several applications of geothermal energy. In geo-thermal cooling, the temperature below the ground surface is utilized to move cool temperature throughout the property. Have a look at a couple of great things about using Geothermal HVAC in your home. I. Multifunction: Depending on your climate, geothermal should be able to manage a lot of the load of cooling and heating your residence. You will generally, however, need some type of backup system to kick on when geothermal is unable to effectively do the job. You may have a choice between an electrical back-up heating system and a propane or natural gas back-up. II. Economical: The initial set up cost for a geothermal system is greater than standard heating pumps, although the maintenance and operational costs are extremely low. The cost efficiency makes geothermal heating, a well-known preference among property owners. At some stage in time, this investment is undoubtedly going to pay back. And so, if you’ve been thinking it to be a really expensive system, you may want to rethink your home insulation methods. III. Available: Geothermal heating systems are already available for sale. They are no more dreams for the public. Details from credible sources report that there has been a surge of 266% in the geothermal system installation in America over the previous year. The fact is, roughly 50,000 geothermal systems get installed in America yearly. IV. Longevity and durability: They are a couple of things that you could expect in setting up geothermal cooling and heating equipment. You’re able to without doubt depend on these systems as far as these issues are involved. You may use these systems at your homes on an annual basis for both purposes like heating and cooling the water. V. Quite simple to set up: Resulting from rapid development of modern technology, geothermal cooling and heating systems are have become chosen choices for end users. It is recommended to employ professionals to be able to install these systems. Should you have one of these set up in your property, it may dramatically boost the value of your property in regards to selling. Prospective buyers are increasingly exhibiting fascination with eco-friendly products, and getting a geothermal system installed might be the best selling point for the homeowner. There’s no denying that Google nothing and no one can stop Google in exploring and expanding its market. I guess we’ll be expecting more of such news in the future so you better keep posted! While making a host of major announcements during its I/O conference, Google shed light on its recent acquisition which now officially brings app performance startup Pulse.io under its reign. Pulse.io enhances the performance of apps by figuring out what is slowing them down and makes tweaks to reduce the loading time of apps.